NEW YORK (AP) — Thirteen years after the 9/11 terrorist attack, the resurrected World Trade Center is again opening for business — marking an emotional milestone for both New Yorkers and the nation. Conde Nast will start moving Monday into 1 World Trade Center, a 104-story, $3.9 billion skyscraper that dominates the Manhattan skyline. The publishing giant becomes the first commercial tenant in America’s tallest building. It’s the centerpiece of the 16-acre site where the decimated twin towers once stood and where more than 2,700 people died on Sept. 11, 2001, buried under smoking mounds of fiery debris. 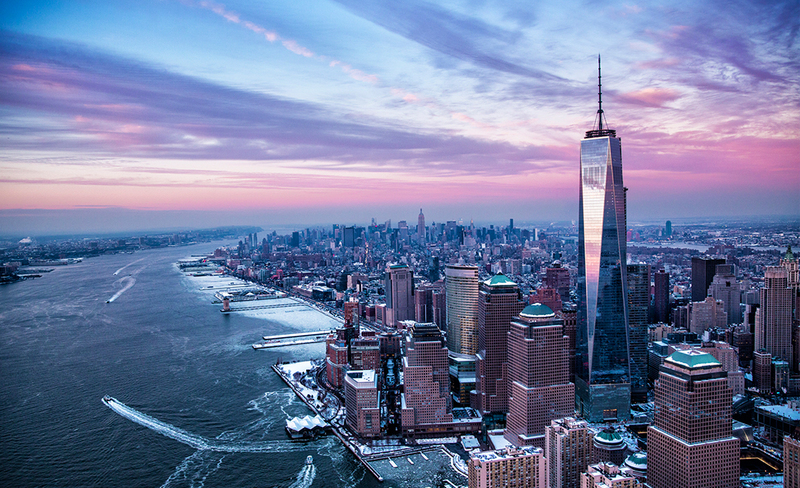 “The New York City skyline is whole again, as 1 World Trade Center takes its place in Lower Manhattan,” said Patrick Foye, executive director of the Port Authority of New York and New Jersey, which owns both the building and the World Trade Center site. Only about 170 of his company’s 3,400 employees are moving in now, said Patricia Rockenwagner, a Conde Nast vice president and spokeswoman. About 3,000 more will arrive by early 2015 to fill five floors of the tower. The government’s General Services Administration signed up for 275,000 square feet, and the China Center, a trade and cultural facility, will cover 191,000 square feet. The bickering slowly died down as two other towers started going up on the southeast end of the site: the now completed 4 World Trade Center whose anchor tenant is the Port Authority, which started moving in last week, and 3 World Trade Center, which is slowly rising. The area has prospered in recent years beyond anyone’s imagination. About 60,000 more residents now live there — three times more than before 9/11 — keeping streets, restaurants and shops alive even after Wall Street and other offices close for the day. Still, it’s a bittersweet victory, one achieved with the past in mind as the architects created 1 World Trade Center. He said the firm went beyond the city’s existing building codes to achieve that.